Lamebook – Funny Facebook Statuses, Fails, LOLs and More – The Original » Safety First! How amazing is this post. Wow. The baby goes in the trunk. The baby got left on the bottleshop counter. 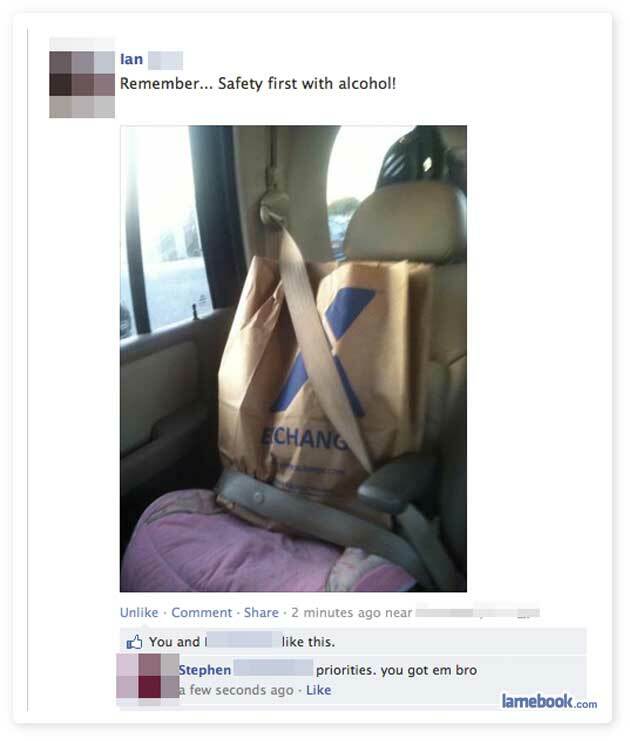 there is no baby, he bought the seat for the alcohol. Or, the toddler is at home with her mom. ^ This is no place for rational thinking, beatus.